It’s FREE to send 1 song or 1 beat into Vent Radio’s FREE MUSIC REVIEW for professional feedback on your music. Giani Raphiel gives raw feedback LIVE on FBLive each show w a live audience of 1000’s of key people including DJs, Radio PDs, Bloggers, Record Labels & more watching your review, hearing your song & leaving feedback. 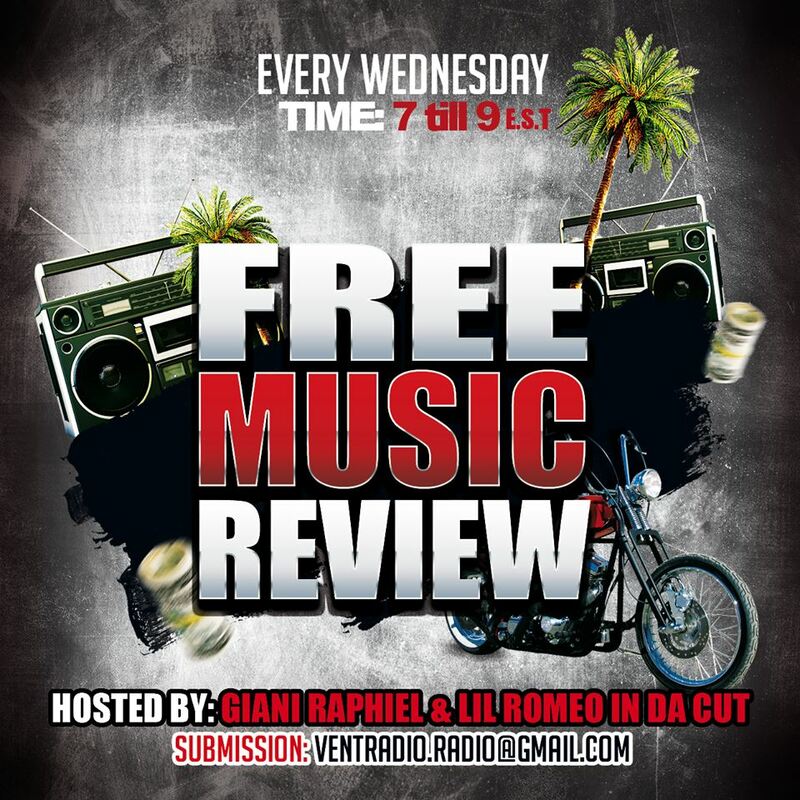 Vent Radio Free Music Review comes on once a week usually at 7pm on Wednesday . You can watch it live here on www.facebook.com/glen.cannon.376. Make sure u follow my page for updates & alerts when the show come on. How do you submit Music? Just Submit your info below to submit your 1 song or beat. How do you know if your song is getting reviewed? Make sure you watch the show to see your Free Music Review. We get hundreds of artists that submit music for each show so there’s no guarantee when you’ll be played. The VIP Song Review is the way to go if you want a guaranteed review & don’t want to wait in the long free line of 200+ artist submissions for each FREE MUSIC REVIEW show.